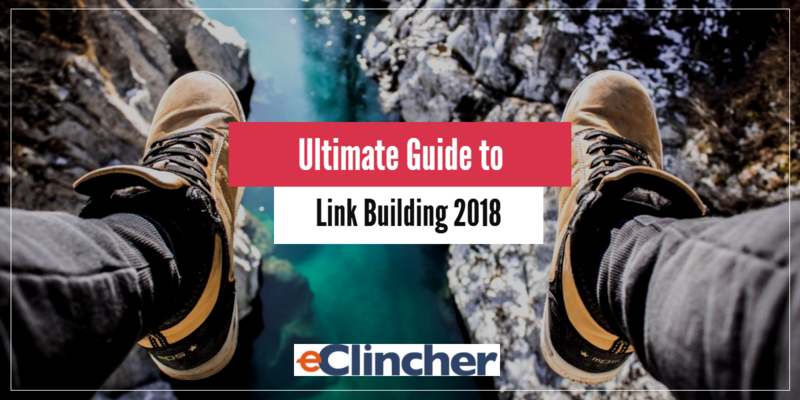 Link building is the most important skill in SEO, hands down. In an incredible study by Backlinko, in which they analyzed 1 million Google search results, they found that backlinks are the most important factor in how Google ranks sites. Also, Google themselves recently announced that backlinks are the third most important factor in their rankings. It seems that if you want to be in the top 3 positions on the first page of Google you need to have between 100 and 300 domains linking to you. What makes a good link? Link quality has become much more important than link quantity in recent years. It’s really important to link to high ranking sites. Use a domain rank to judge which sites you should get links from and a page rank to pick a top ranking page on that domain. Pro Tip: produce content and put it on high ranking sites like SoundCloud, Medium, and iTunes to get quality backlinks. Make sure that the site you choose is relevant to you. If you are a flower shop then a link from petfood.com is going to be absolutely useless to you. Your link’s position on the page makes a difference. Is your link right in the middle of the page? towards the top? or is it in the footer? The higher your link is on the page the more it helps your Google ranking. Make sure your anchor text contains your keywords and has relevance to your site. For example “in a study by eClincher” will help us much less than something like “social media management tool”. The words around your link, or co-citations, hold weight. Google reads those words as well. How many links do I really need? Suppose that you are creating a backlinking strategy and want to know how many of these bad boys do we actually need. An easy way to check is by finding out how many backlinks your top competitors have. For example, if you were an email software company like MailerLite you would want to compare the number of backlinks that companies like MailChimp or AWeber have. Turns out MailChimp is winning the race with a whopping 35,237 backlinks (but that’s what you would expect from the most well-known email tool). So MailerLite needs to at least get another 9,000 links to match GetResponse. The team at MailerLite could then decide on a strategy and a monthly goal of backlinks and set out to get them. We used a free tool from Neil Patel. Click on that link, put in your site and your competitors and you get a relatively accurate benchmark of where you need to get to. You can use a tool like BuzzSumo that can quickly find all the sites that mention you without linking to you. Then simply email them and ask them for a link. Another strategy is to look up articles that would be a good fit and ask them to add a link to your page. This is one of our favorite strategies to get backlinks. The best part about guest blogging is that you can write about yourself without appearing promotional, just by simply describing a good marketing strategy or some experiment that you’ve done. If your piece is super interesting then people will come to your site and check it out. That’s the idea. But what if you don’t have the team or the time to write a bunch of guest posts? Double down on other content mediums. A really great strategy to publish content in a variety of forms. Video is going to be HUGE in 2018 so you need to go all in on that. Create a YouTube channel and start uploading quality videos. If you don’t already have one, you need to start a podcast or get interviewed on one. Uploading content in all different forms, shapes and sizes not only helps you capture different peoples’ attention that have different learning styles but also gets you links on high-quality domains. One of the best ways to “game the system” and get a bunch of traffic and engagement is to create content that goes viral. That involved learning the algorithms of search engines and various social media channels and hacking it. One of my favorite examples of this is Josh Fechter’s strategy to hack LinkedIn – which got him over 25 million views on his posts. LinkedIn – only put links in the first comment, don’t write in paragraphs and get as personal as possible. Facebook – long-form posts are doing the best, boost them whenever possible. – Create content in several mediums on a variety of websites. – Write guest blog posts that are both captivating and informative. Have you tried any of these techniques? Let us know in the comments!